MAGNOLIA, Miss. 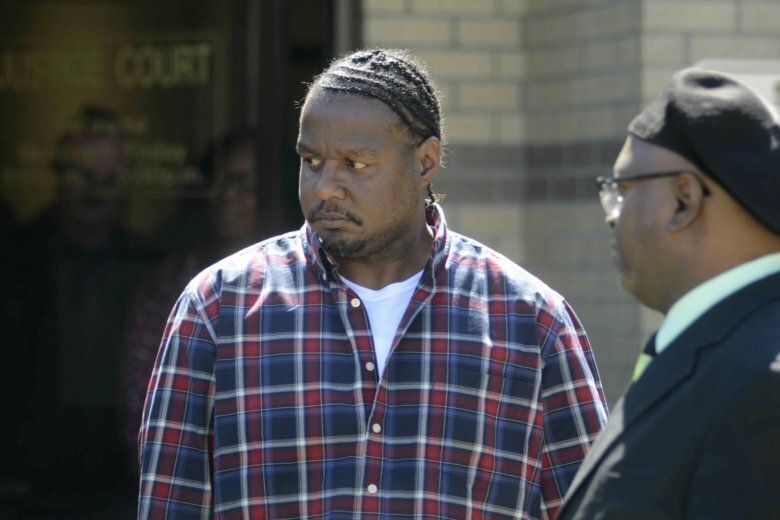 (AP) — A defense lawyer suggested Tuesday that two Mississippi girls killed their mother in self-defense and that sheriff’s deputies may have questioned them improperly. “I can tell you that I anticipate my client and her sister are both going to be defended on a theory of self-defense,” lawyer Greg Malta told reporters following a hearing for the 14-year-old defendant. She’s charged with murder in the Jan. 4 death of her mother, Ericka Hall, near Magnolia, just north of the Louisiana state line. Pike County Justice Court Judge Bryan Harbour found enough evidence to send the case to a grand jury, but lowered the teenager’s bail to $100,000 from $150,000. She remains jailed for now. Her 12-year-old sister is charged as a juvenile and has been released to the custody of her father. Pike County Sheriff’s Chief Investigator Chris Bell testified Tuesday that the girls confessed to planning the killing in advance, faking a knock at the front door to lure Ericka Hall from her bedroom. The 14-year-old told Bell that she stabbed Ericka Hall, then her sister shot her, and the 14-year-old stabbed her again. Her sister later found her in the grass beside her car. “‘We planned it’ is what (the 14-year-old) said,” Bell testified. Ebony Hall, Ericka Hall’s sister, said one of the girls tried to run over their mother in a car on New Year’s Eve, four nights earlier. Ericka Hall called the sheriff’s office that night complaining about “unruly children,” Bell said. Deputy Alex Miller responded, testifying that Ericka Hall didn’t directly tell him about the attempted rundown. Miller said he didn’t call Child Protective Services or file a report, concluding both were unnecessary. Ebony Hall said she never heard such a statement and dismissed it as hyperbole. Malta focused on the questioning of the girls in the early hours of Jan. 5, suggesting neither was capable of giving informed consent to Bell. The investigator testified that the 14-year-old first opened up to her father, Eddie Isaac, before repeating the story to Bell. Isaac, though, denied that after court. “He talked to them without my consent,” Isaac said. The father said he doesn’t believe the version of events put forward by authorities and Ericka Hall’s relatives. “They’ve got a bunch of stories and a bunch of lies and I just can’t see it happening that way,” Isaac said. Under Mississippi law, children 13 and older accused of certain crimes are automatically charged as adults. Judges can later transfer cases to youth court, and Malta said he would probably seek such a transfer. However, District Attorney Dee Bates said he would oppose such a move. “She’s a 14-year-old who committed a capital offense and state law says that she’s an adult,” Bates said. The teen is being held alone in a cell in the Pike County adult jail, isolated from other inmates. Bates said he didn’t intend to present the case for indictment until a final autopsy is completed, a process that can take a year or longer in Mississippi because of backlogs at the state crime lab. Isaac testified he wants to bail the 14-year-old out of jail and have her live at his house. He said he was working on raising the $10,000 needed to pay for $100,000 bail. “Sitting in there a year or two, that isn’t going to be too good,” Isaac said.